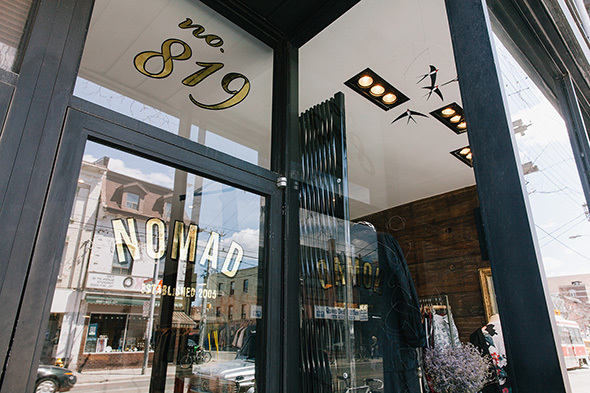 Nomad is a veteran player in Toronto's burgeoning menswear game. 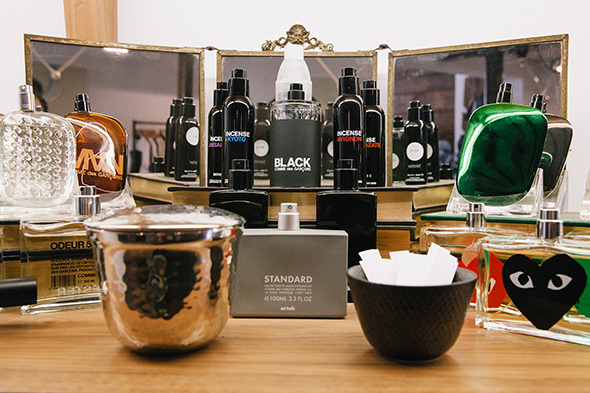 The men's shop, which has been open in its current West Queen West space since 2010, has remained more elevated, refined and aspirational than the sister streetwear shops it previously flanked at Richmond and Spadina (including Goodfoot , Ransom, Stussy - and, let's not forget the always boozy speakeasy Goodnight ). 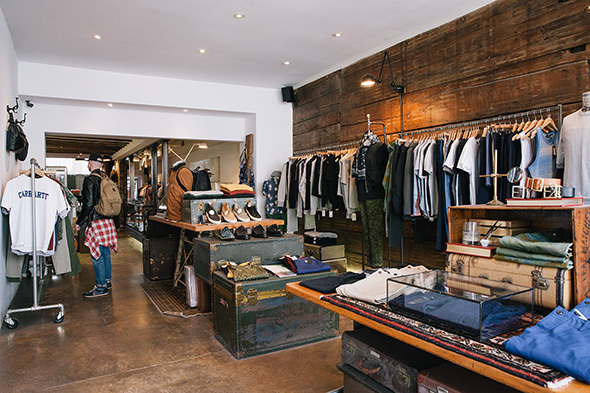 Sandwiched between a pub and a music school, the store's concrete floors, brick pillars and reclaimed wood walls are juxtaposed with clean, white drywall, giving it an almost Lower East Side gallery feel. 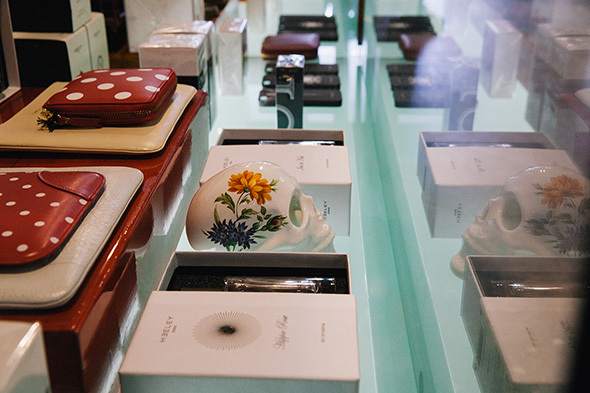 Thanks to its long, storied history and loyal clientele, Nomad doesn't resort to commonplace retail gimmicks. That's fitting, given that the passionate, knowledgeable staff seemingly view the product as such: art. It's just hung on gunmetal rolling racks, not the walls. 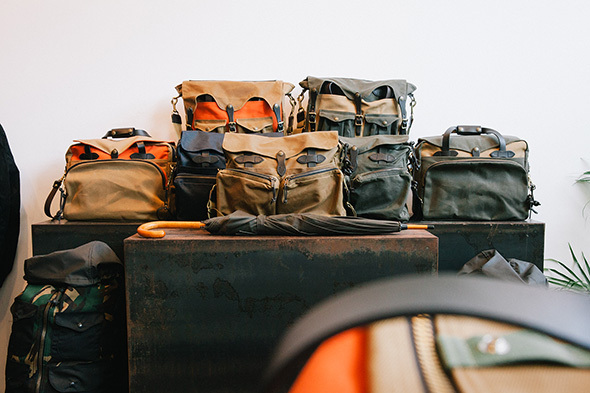 "We really make an effort to support and introduce brands and designers that are different, but will resonate with our local customer base," explains co-owner Jesar Gabino. "The one important factor that we always keep in mind is, how does [the product] translate to our guys?" 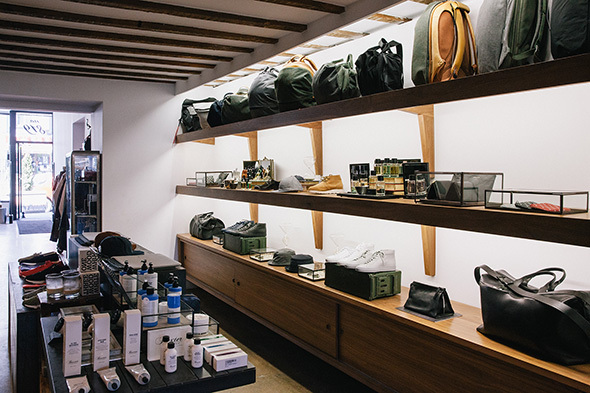 Carrying everything from clothing to shaving supplies, footwear to fragrances, it doesn't take much time in the store to see that Nomad has a firm grasp of who that core customer is, and offer an assortment that makes that particular aesthetic attainable. 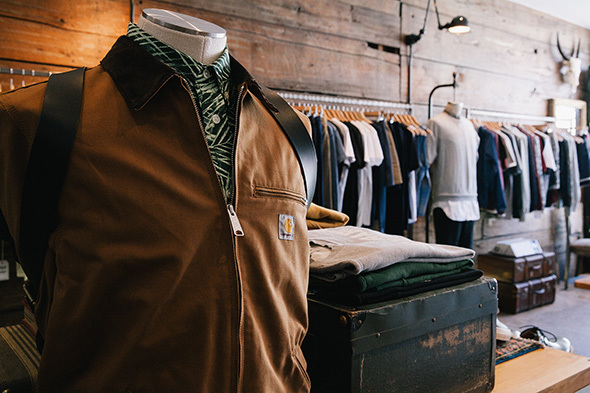 If you can't afford the pricier brands like Comme Des Garcons, Robert Geller, Engineered Garments or Damir Doma, for example, you've got more affordable - and still fantastic - ones like Carhartt Work in Progress to check out. Feeling patriotic? 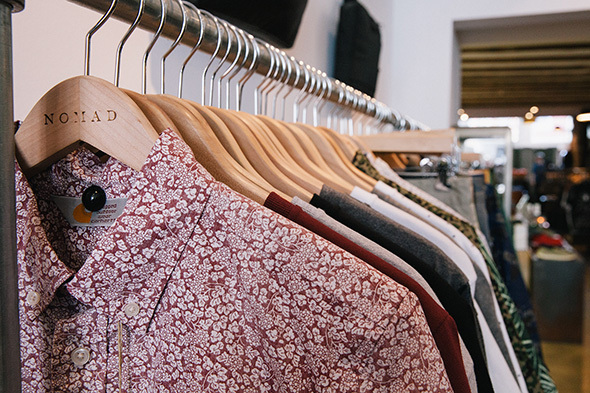 There's also a strong Canadian contingent with Vancouver labels Reigning Champ and Wings & Horns. 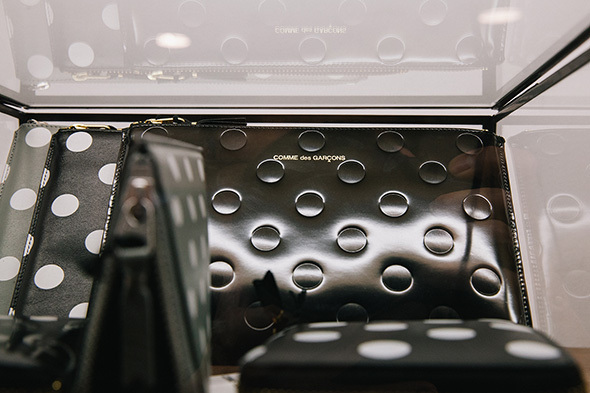 "We're big on making sure that the shopping experience is enjoyable and easy," explains Gabino. 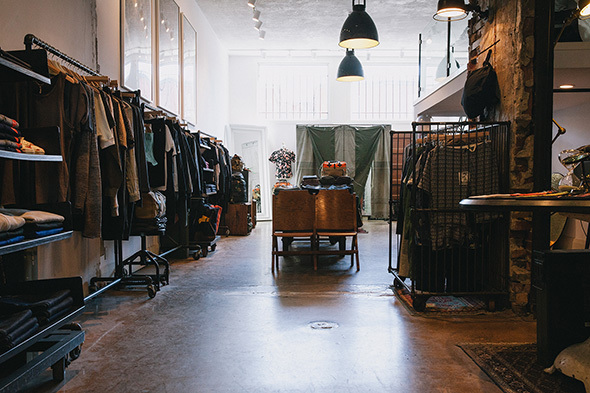 "The merchandise is laid out in an approachable and organized fashion, and our staff is always right there to help you right when you need them. We're never too pushy and we'll never try to sell you on something that looks terrible on you. 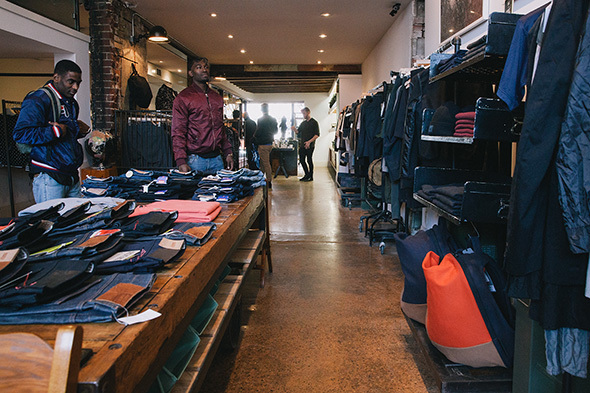 Our staff is ruthless and will tell you straight up if something looks terrible on you." As usual, on the day I stopped by to peruse the Spring/Summer merchandise, a number of things caught my eye, including the Rocky Balboa-esque sleeveless sweatshirt created by Reigning Champ with sportswear giant Everlast ($100), a pair of pillowy soft cobalt chinos from Levi's Made and Crafted ($235), about five Gitman Vintage printed shirts ($210) and a very on-trend oversized bandana print scarf from Home Cloth ($198). Rarely, if ever, do they host events and their markdown program is conservative at best, which speaks to their competence as retailers. That said, if you see something you like, don't hesitate. Chances are good it won't be there when you change your mind. Writing by Shayne Stephens, photos by James C Lee.